Body waxing may sound like a modern trend, but it actually has a long history that dates back to 3,000 B.C. in Ancient Egypt. Cleopatra was a trendsetter who removed all her body hair including on top of her head. The Ancient Egyptians made tweezers out of seashells and also used pumice stones and beeswax for hair removal. In the Middle Ages, Queen Elizabeth popularized facial hair removal when she removed her eyebrows to make her forehead look larger. To remove the facial hair, walnut or strips of cloth soaked in ammonia and vinegar was used. In the early 20th century, men and women used electric razors, depilatory creams, wax strips, and even laser technology for hair removal. This type of soft wax usually comes in a pot that can be heated over a warmer or in the microwave. One of the reasons this type of wax is so popular for people who want to remove unwanted hair is that the heat combined with the soft texture of the wax make it much easier to spread evenly and thinly across the body. Additionally, the heat has the added benefit of opening up the pores on the skin, which can make it easier to remove hair and even make it a little less painful, as well. If you are going to use heated soft wax and want the best experience, then it is a good idea to opt for a heater that will allow you to control the temperature, as you can make sure that the wax stays at a consistent temperature and doesn’t get too hot or too cold to easily work with. While it may be tempting to make this wax as hot as possible so that it will spread easily across the body, this is a mistake and can have disastrous results. You want the wax to be warm enough to easily spread on the body, but not so hot that it starts to run before you apply the strips of cloth to remove it. Soft heated wax is ideal if you want to wax large areas of your body, such as your legs, and it is generally less expensive than hard wax is, which is why it is so commonly found in salons. One problem with soft heated wax is that if you miss some hair, you can’t apply the wax again as you can with hard wax because the soft wax actually removes layers of your dead skin when it is removed. Soft wax is ideal if you have a lot of fine hairs that you want to be removed, as it does a great job adhering to them, but it isn’t a great choice if you are getting waxed in sensitive areas. Unlike heated soft wax, the cold soft wax is removed from the container or pot and placed directly on the skin where you want to wax. 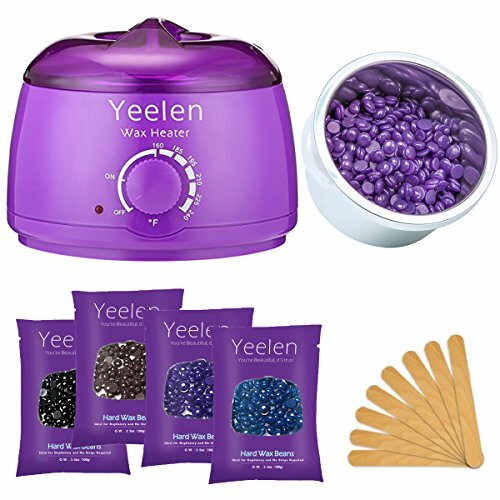 This is a very convenient option if you want to be able to wax your body in a hurry or are new to waxing and aren’t really comfortable with heating up your wax on your own because you are afraid of burning yourself. While you don’t have to worry about the wax cooling too much to be used as you do with heated soft wax, there are other problems that some people run into when they opt for cold soft wax instead of heated soft wax. One issue with this type of wax is that it is firmer than cold soft wax is. 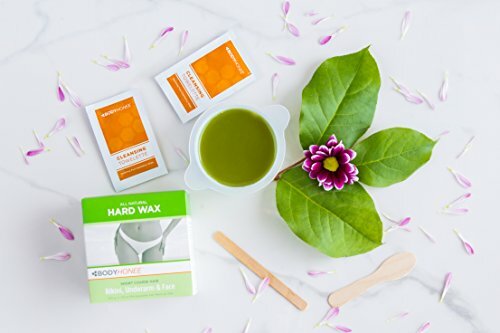 While this may seem like it gives you more control over where you will put the wax, it can actually make it significantly more difficult to apply the wax in an even layer, which makes waxing more painful. You want a nice and thin layer, and the cold soft wax tends to clump up when being spread, especially if you are new to using it. Additionally, there are many people who think that cold soft wax is much more painful than heated soft wax, and it tends to leave very small and fine hairs behind once it has been removed. Perfect for anyone who is new to waxing and not sure how to get started, may be worried about putting on too much wax, or is concerned about how to use the strips to remove the wax, pre-made strips take all of the guesswork out of waxing your hair and make it fast and easy. No matter whether you have never waxed before or are in a hurry and don’t want to deal with heating up your wax and getting outstrips, pre-made strips will allow you to remove unwanted hair quickly. 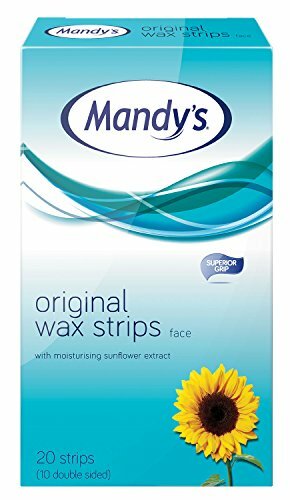 These strips come with the wax already attached to them, which means that you never have to worry about accidentally applying too much wax to your body. Additionally, if you weren’t able to remove all of the hair the first time you use a strip, you can use another in the same place without worrying about causing a lot of skin irritation or pulling off too much skin. While these strips don’t need to be heated, many people find that they have better results and are able to remove more hair at once by rubbing them between their hands to heat them up. Once they are ready, they simply need to be placed on the area to be waxed and then moved in the same direction of the hair. This type of hair removal wax does not need a strip to be removed, and while the wax is often warmed up a little bit, it is never going to be as warm as the heated soft wax will be. You do have to warm up hard wax a little, as it can’t be used at room temperature or when cold. After cleansing the skin it is very normal to apply a bit of pre-epilation oil to the skin before applying the wax. One thing that is important to remember when you are applying hard wax is that it needs to be applied thicker than soft wax is, and it has to be applied in the direction that the hair grows. As the hard wax hardens even more on the body, it will tightly encase the strands of hair and will become almost a strip itself. By flicking up the end of the wax, you can create a small tab that can then be pulled in the opposite direction as the hair grows. While hard wax works best on hair that is at least 0.25 inches long, it can remove some hair that is a little shorter. This type of wax is ideal if you have a lot of very thick hair that you need to remove. Unlike soft wax, hard wax doesn’t leave behind any sticky residue, which makes it a lot easier and faster to clean up. Additionally, it is less painful in sensitive areas, such as the face, bikini area, and underarms. While the hard wax is great for use on smaller areas of the body, such as the face, trying to use it on large areas like the legs will lead to the wax breaking. Regular salons do not generally use hard wax because it is more expensive, but it is a great option if you want to use wax to remove your hair at home. This is a very popular waxing option that is found at most salons and includes the health benefits of chocolate along with powerful hair removal. As an ingredient, chocolate is a great choice if you want to improve the health of your skin as well as decrease the pain that you feel when waxing. It is packed with antioxidants, which make it a great choice to keep your skin as healthy as possible during the waxing procedure. Additionally, chocolate is packed with oils and glycerin, which help smooth and soothe the skin, and is very anti-inflammatory. This means that if you struggle with redness on your skin, especially after waxing, that using a chocolate wax may be a good idea, as it can decrease the redness that you experience. 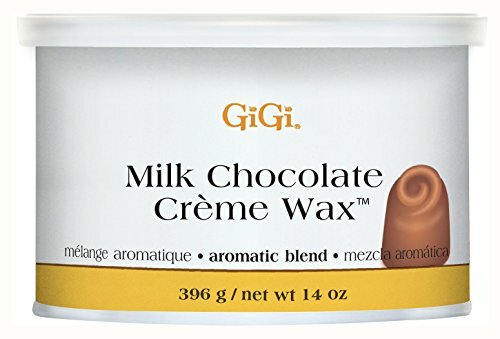 One thing to remember is that, at home and in a salon, the chocolate wax will tend to cost you more than other options will. For many people who are interested in enjoying the health benefits of a chocolate hair removal wax, the extra cost is clearly justified by the benefits that they will enjoy when they opt for this type of wax. Fruit wax is very similar to hard wax and is generally a great choice for people who have very sensitive skin. 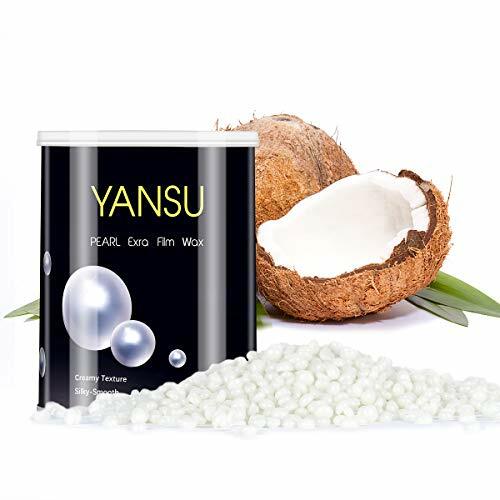 Because it is packed with fruit extracts, including plum and berry, this type of wax is full of antioxidants and also contains a number of different vitamins that can help nourish and improve the health of your skin. Additionally, this type of wax tends to be a lot gentler on the skin than your traditional body waxes are. While this does mean that the wax can be a little more expensive than a basic type of wax, you generally don’t need to worry about irritating, an allergic reaction, or other problems. The health benefits of this type of wax outweigh the cost for many people, who consider it as a wax not only to remove unwanted hair but also to treat their skin to vitamins and other health benefits. 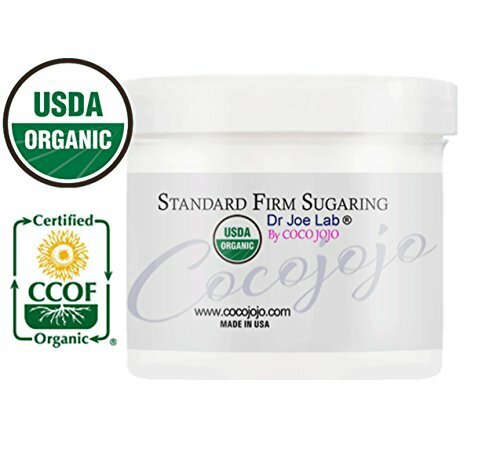 Sugar wax is one of the oldest kinds of body waxes available, and generally includes water, lemon, and sugar along with other ingredients to improve the efficiency of the wax. Because this type of wax is generally made with natural ingredients, it is a great choice for people who have sensitive skin and tend to react to other waxes that are packed with chemicals. Unlike soft body wax, sugar wax doesn’t stick to the skin, which means that it can be applied in the same area more than once without removing a lot of skin or causing irritation. This is a great option if you want to remove hair in sensitive places and are worried about irritating your skin. Make sure that your hair is long enough so that it will be coated in the product, which will make removal much easier, as well as more efficient. 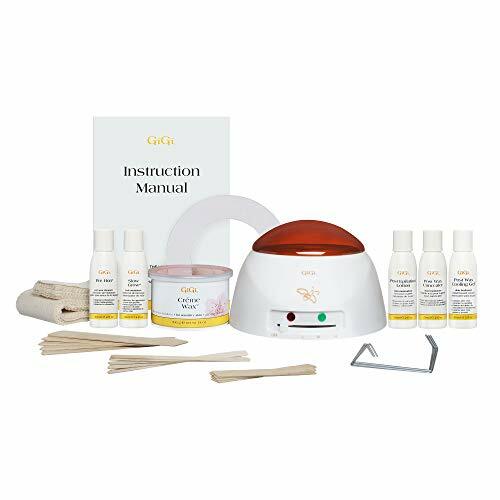 If you are new to waxing at home and want to make sure that you have the best experience possible, then you will want to make sure that you buy a kit. This ensures that you have everything that you need to get started waxing so that you won’t have to run back to the store to pick up something that you forgot. Even if you have been waxing your body hair for a while, a kit is a wonderful way to ensure that you are prepared for any last-minute waxing that you want to do and will keep you from being frustrated. When you shop for a waxing kit, you want to want to make sure that it includes everything that you need. 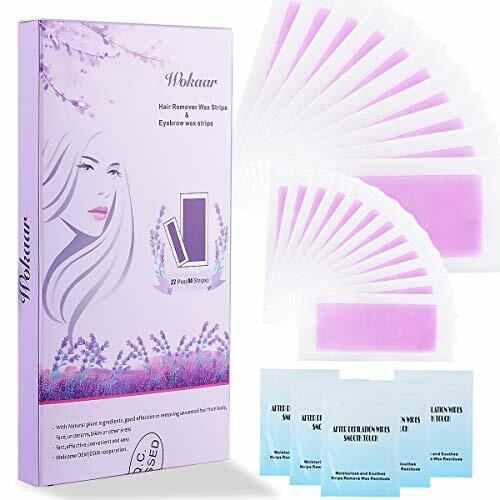 Many people make the mistake of buying a waxing kit only to find out that they have only purchased the warmer and that they need to go back to the store for wax. Look for a waxing kit that contains the warmed, wax and even applicator sticks. Another important thing to consider when you are choosing a waxing kit is to make sure that you can easily and quickly clean the warmer. If you struggle to clean it quickly then it will be tempting to avoid this process, which can result in a dirty warmer and one that is not safe to use. 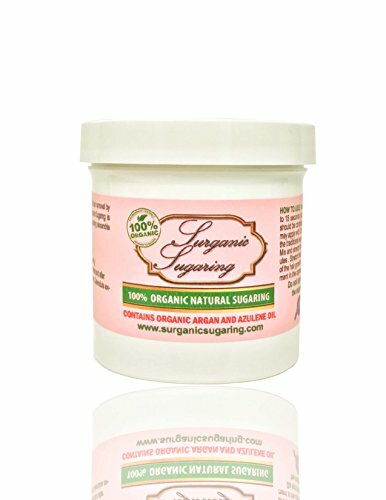 While many people love the way that some additives to their wax will smell, if you struggle with added fragrances, either because they upset your allergies or because they cause your skin to break out, then you will want to make sure that you choose a hair removal wax that is fragrance-free. While this is often a little more difficult to find and may cost more than traditional types of hair removal waxes, it can make a huge difference in how much you enjoy your waxing or what kind of problems you experience. One added benefit of opting for fragrance-free hair removal wax is that you won’t have to worry as much about upsetting sensitive skin. Even if you haven’t had problems with waxing larger areas of your body, such as your legs, very sensitive areas of your skin can often have reactions to wax that has fragrances in it, which is why it’s a good idea to opt for a fragrance-free wax whenever possible. 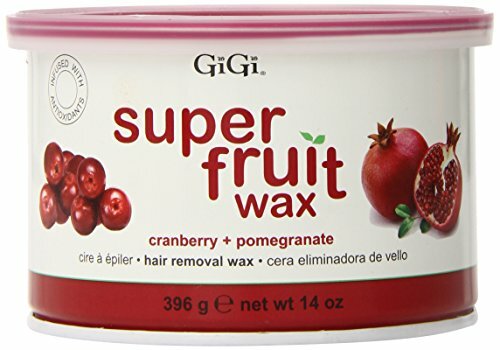 Choosing hair removal wax that has a fragrance is a personal decision, but if you want to lightly perfume your body while you are removing hair then this is a great option. 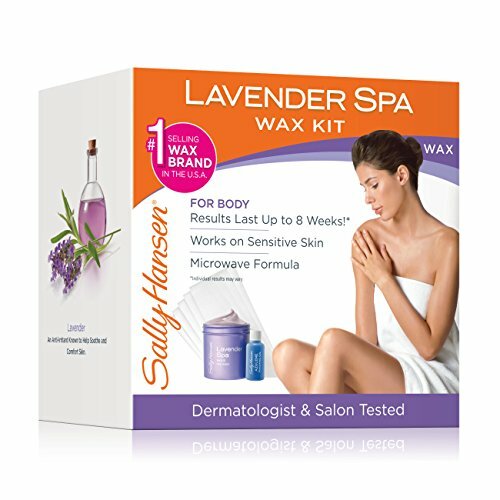 You can usually find hair removal wax that has natural fragrances, such as lavender or lemon. While the smell will not be so intense or last for so long that it is like a perfume, this is still a great way to engage all of your senses when you are waxing your hair, and it is an option that a lot of people like to have for that very reason. If you are opting for a scented hair removal wax, then it is a good idea to test the wax on a small part of your body the first time that you use it. This is because you do not want to find out at a later time that you are allergic to the fragrance and have a huge all-body reaction to it. Many people who have sensitive skin love waxing for how quickly and efficiently it removes unwanted hair from the body but struggle with dealing with reactions to the wax itself. If you have problems with skin care products causing unwanted reactions when you use them, then you will want to make sure that you choose hair removal wax that is hypoallergenic. This means that it will be specifically designed to remove the hair from your body without causing an allergic reaction, which is ideal for people who have very sensitive skin. One problem that many people run into when choosing hair removal wax for themselves is that they aren’t always sure whether or not they will react to a certain ingredient in a wax. The best way to avoid having this problem at all is to simply choose a hair removal wax that is hypoallergenic, as it is designed to prevent any such problems from occurring and is generally safe for most people to use. Organic products have to go through strict testing and meet very stringent requirements and guidelines before they can carry this label, which is why they are often a little more expensive and can be harder to find. If you are worried about what you are putting on your body and what may be hiding inside your hair removal wax, then looking for an organic product is a good idea. These will generally be free of any kind of pesticides, chemicals, and other by-products that can harm you when they are placed on your skin and allowed to enter your body that way. When you look for an organic hair removal wax, you need to make sure that the company has taken steps to achieve the organic label and that you are comfortable with all of the ingredients that you will be putting on your body. This will give you peace of mind when you are using your hair removal wax that no animals were harmed during the production of your product and will allow you to feel good about using it. It makes sense to want to put the most natural products on your body as possible, especially as more and more information is released about how harmful some ingredients in skin care products can actually be. For that reason, there are more people who are paying attention to what is actually in the products that they buy, which is great, but this can be a little bit misleading. Natural products will not have synthetic ingredients in them, but this doesn’t mean that the product that you are buying is organic. Unlike organic products, natural products don’t have very strict guidelines that they have to follow before they can be labeled as natural. For this reason, if you are going to opt for natural hair removal wax, you still need to make sure that you read the ingredients and understand exactly what is in the product that you are buying. This will ensure that you are aware of what you are putting on your skin and that you are okay with the included ingredients. For many people, it can be very difficult to open packages. While it is important that items are shipped carefully and securely, if you struggle with arthritis in your hands or don’t have a lot of hand strength, then it is a good idea to choose frustration-free packaging. Many people erroneously assume that this means that their product will not be wrapped securely, but this is not the case. It simply means that you will be able to open the packaging a lot more easily and won’t get as frustrated. Not all companies offer this type of packaging, but if it is important to you to be able to open your wax or waxing kit without issues, then you will want to look for this feature. It makes getting started waxing a lot easier and faster.